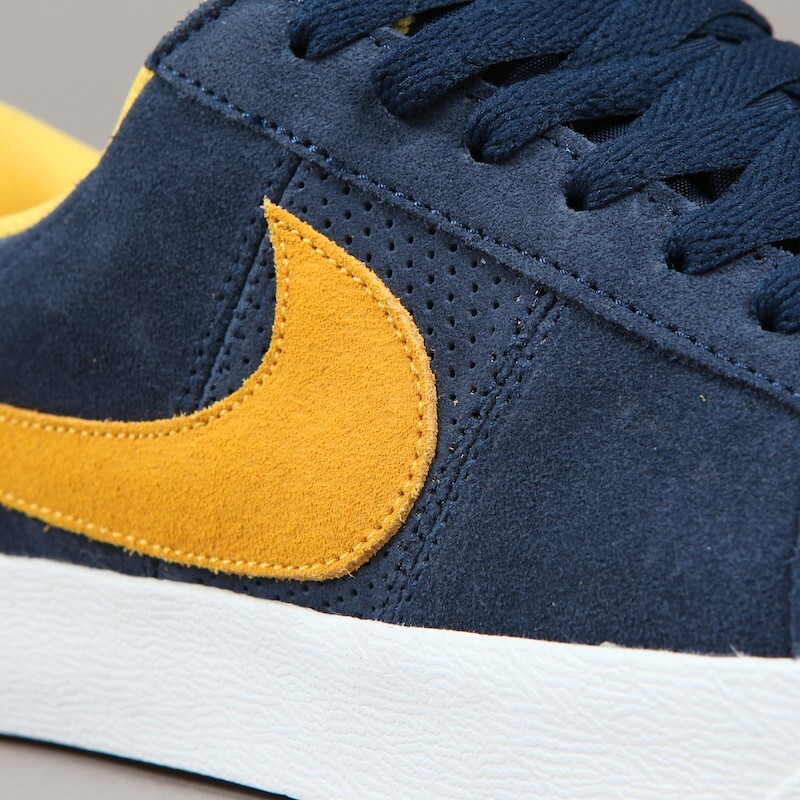 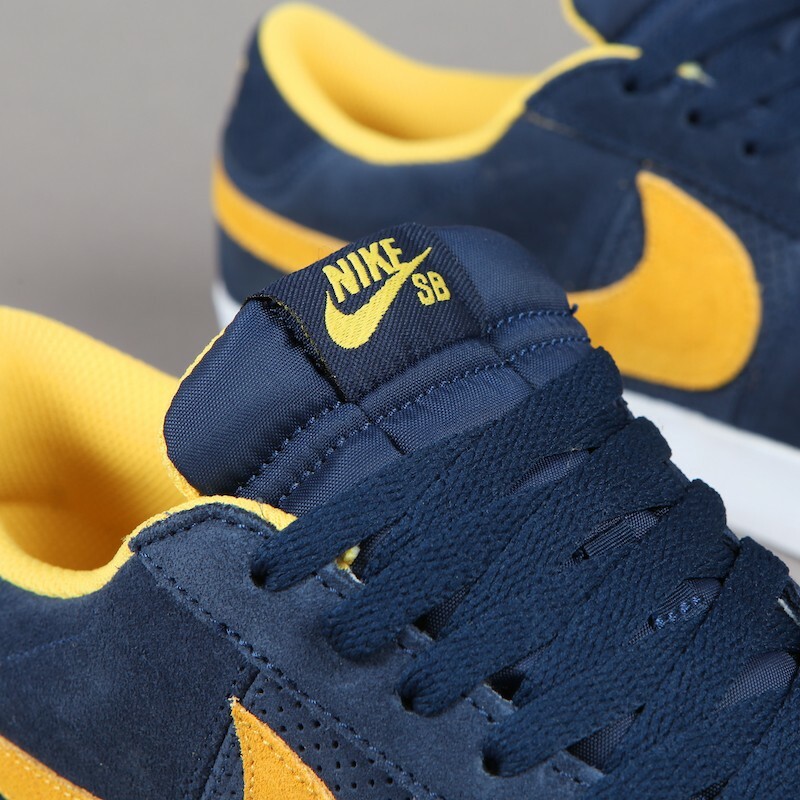 Nike Skateboarding has dusted off the cup-soled Blazer Low for a new release hitting accounts this month. 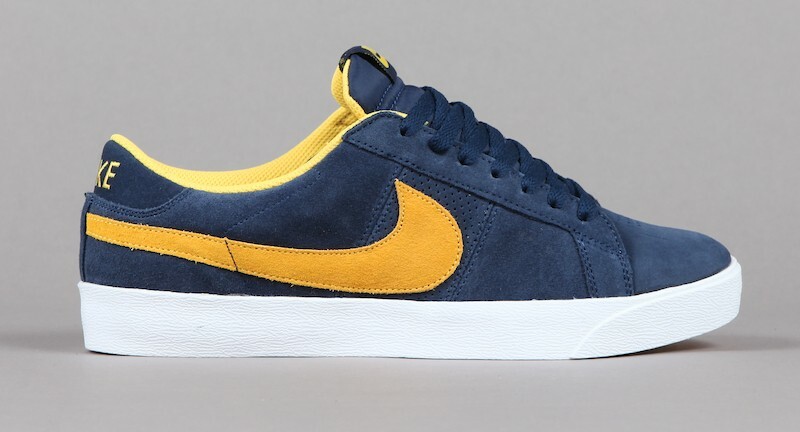 Nike Skateboarding has dusted off the cup-soled Blazer Low for a new release hitting accounts this month. 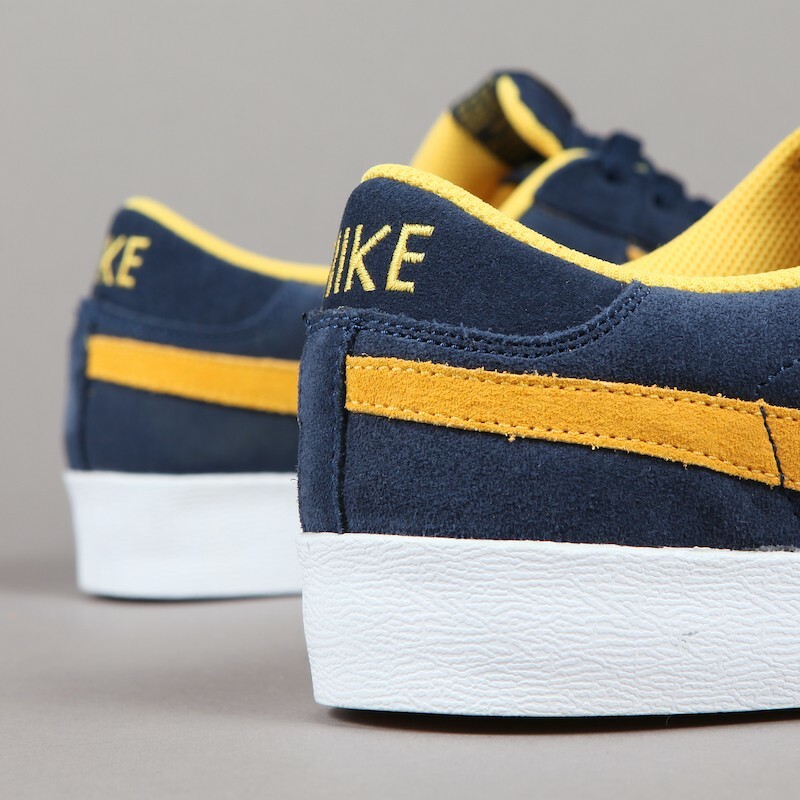 Sporting a look that likens itself to the Michigan faithful, deep navy suede covers the upper on this pair, with ventilation provided by tonal perforated leather sidewalls. 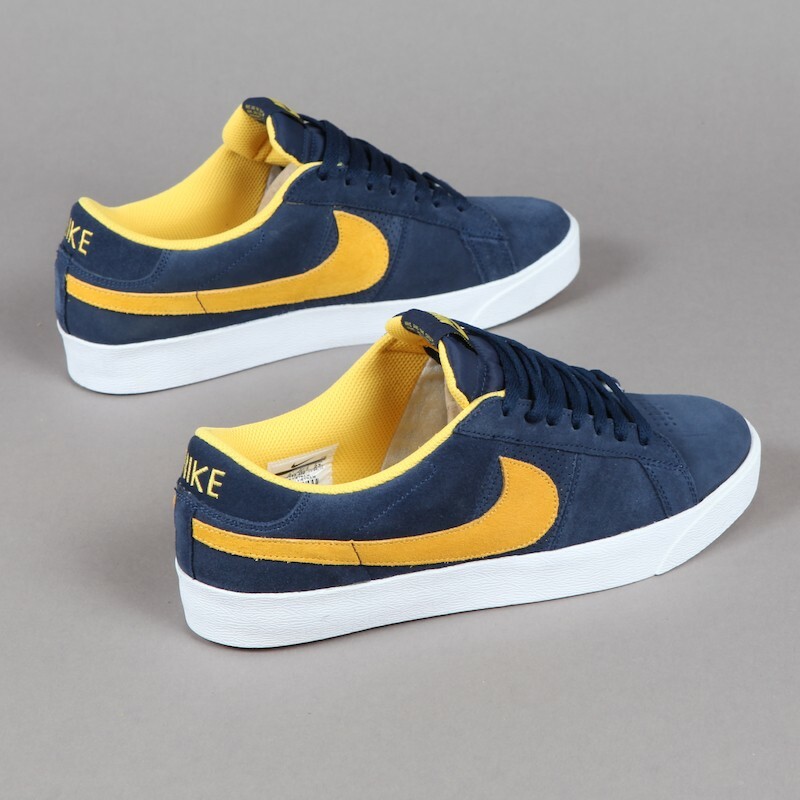 Maize pops off of the dark base, seen on the inner lining, Swoosh, and branding on the tongue and heel. 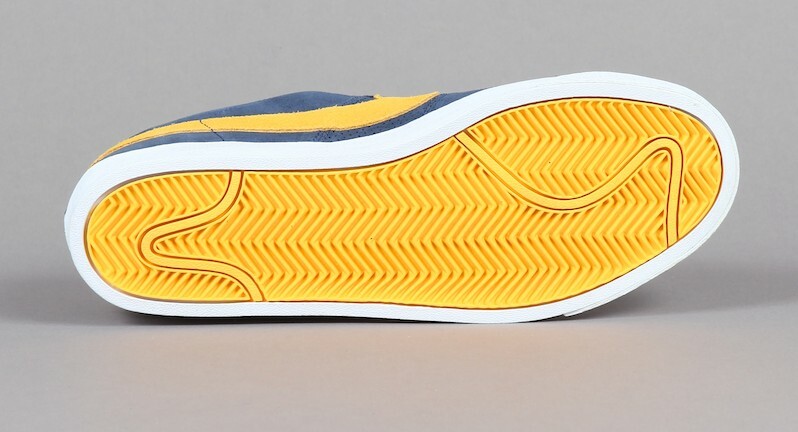 As the name suggests, a white cup sole and maize rubber underfoot finish up below. 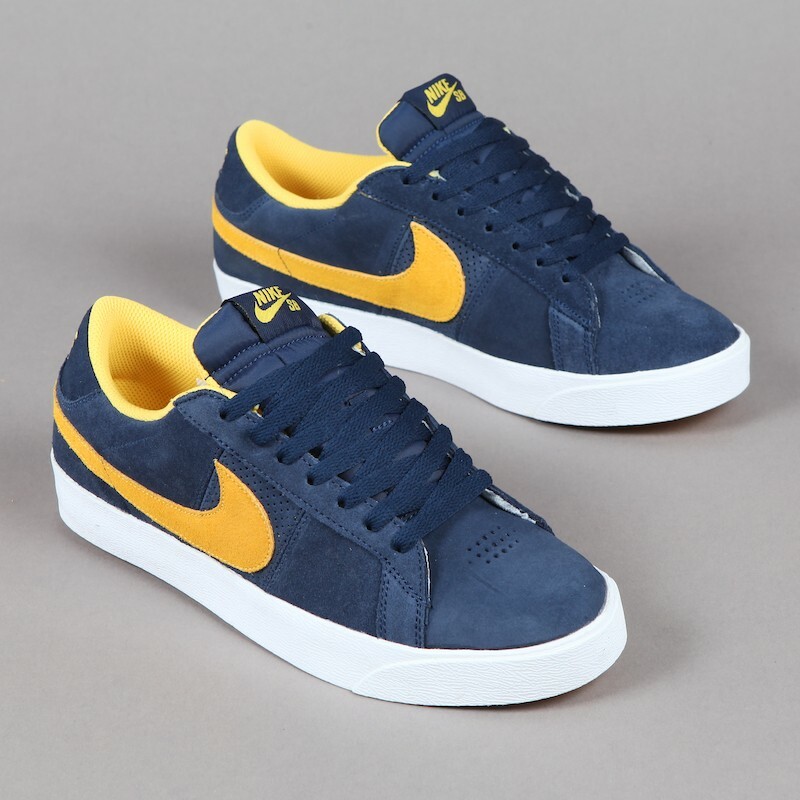 Look for these today at Nike skate shops like Flatspot.